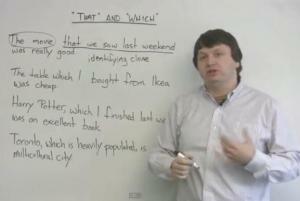 A simple, short video giving examples of when to use the relative clauses who, which and where. A very good, short video on the difference between defining clauses (information that is important and specific to what is being discussed) and non-defining clauses (information that is unnecessary or extra). The teacher goes through things at a good, even pace and there are lots of clear examples for you to check your understanding. 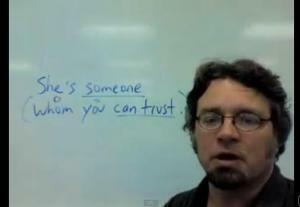 You can use "whose" in an adjective clause describing a noun. Many native English speakers are not clear on this grammar rule, so if you learn it you will sound very educated, especially in formal situations. 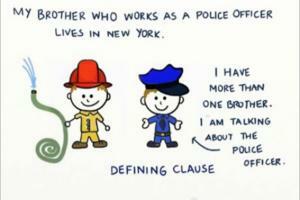 A relative clause is additional information about the subject that we include in the same sentence. 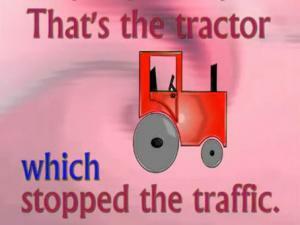 This lesson explains it on elementary, intermediate and advanced levels. 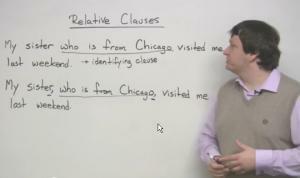 Learn how to use and punctuate relative clauses in this video lesson. Your writing will be clear and concise! 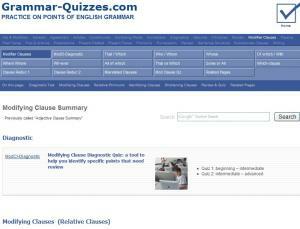 This site tests your understanding of phrases, dependent clauses and independent clauses. 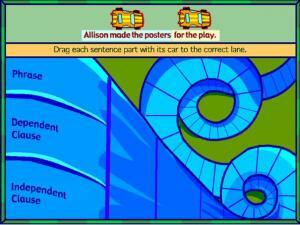 Drag each part of the sentence to the correct lane and watch your car speed round the track! 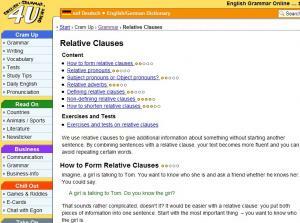 This is a very detailed site from the British Council going through all the types of use of relative clauses. There are two interactive quizzes at the end to text your understanding. 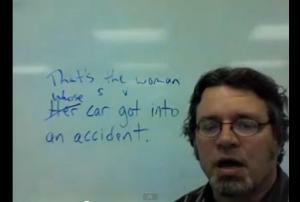 This lesson will help you sound more natural in your English speech. When can you eliminate clauses? 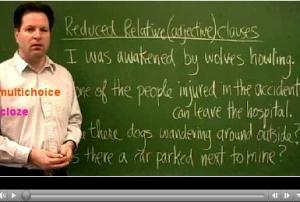 This video explains when (and why) you can reduce your adjective clauses. There are exercises for you to practice after watching the video. 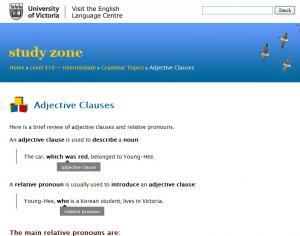 Comprehensive resource about modifying clauses, relative nouns and when to use or not use modifying clauses. Includes thorough explanations and quizzes. 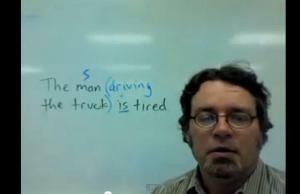 Shorten your sentences and sound more like a native speaker with this video grammar lesson about changing adjectives clauses into adjective phrases.